This silver-plated brass suspension light has a particularly high-quality finish, and a power cord sheathed in a metallic braid. 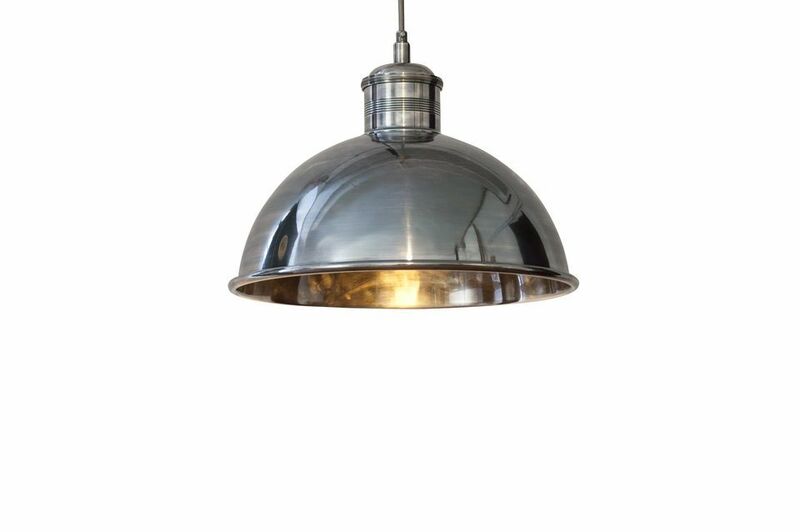 This product will make all the difference to a room by adding that distinctive industrial lighting look. 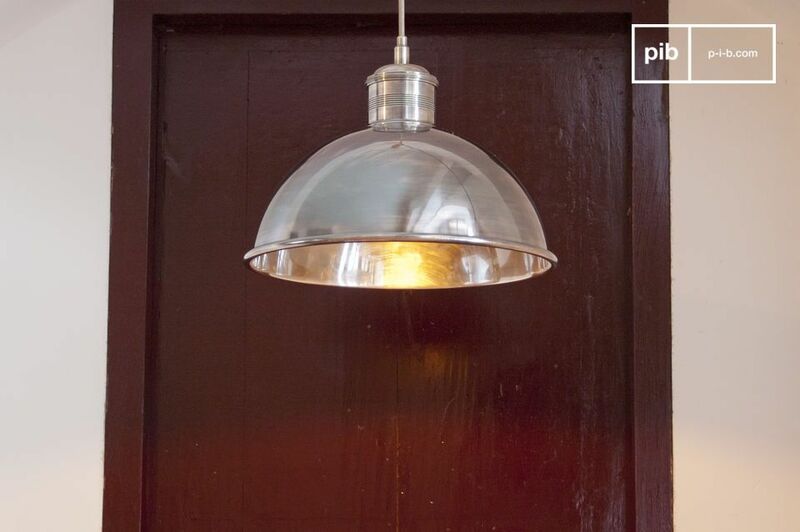 Maximum power with an incandescent light bulb: 40 Watts. 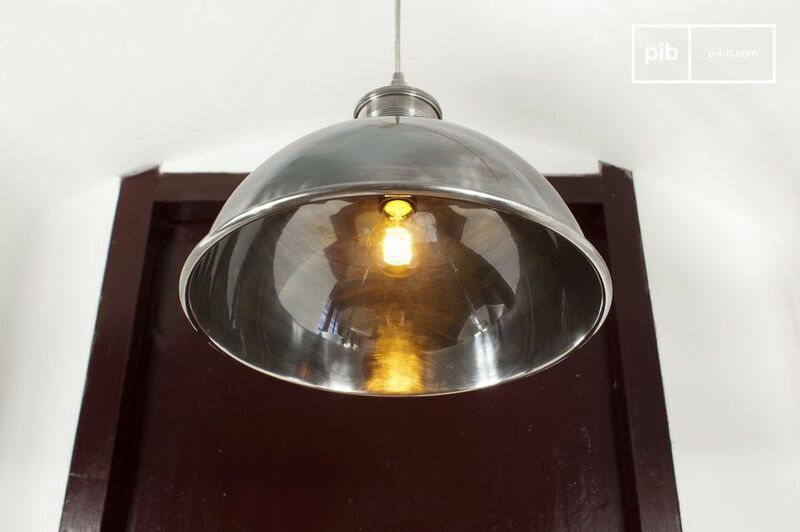 A low-energy bulb will provide enough brightness for the Banker to be the main source of lighting for the room. We recommend that you use a warm white light bulb in order to preserve the nature of this piece. The interior and outside of the lamp dispose the same finish, the golden impression of the photos is due to the usage of an incandescent bulb.